Chicken kebabs from Food, Pleasure and Health are an easy dinner recipe. Whenever we think of kebabs, we are often intimidated by the process and steer clear from preparing them at home. While this recipe may not be totally authentic, it's still delicious. 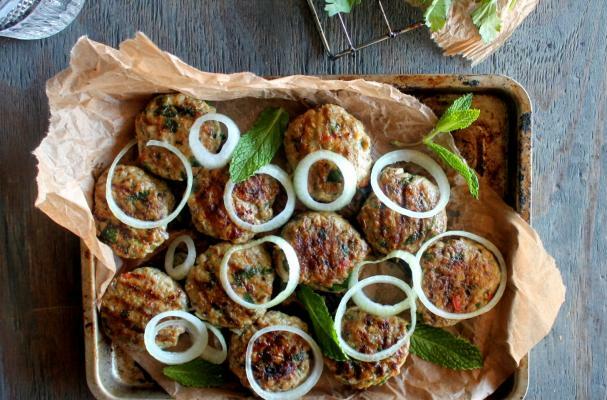 Ground chicken is mixed with garlic, mint and a variety of spices including coriander and cumin. You can cook these chicken kebabs on the grill, oven, or on the stove top. Serve them with a cucumber yogurt sauce and warm pita bread. For full recipe instructions, click here.